P.A.C.E. Makers are the heart beat of Dixie Hills Baptist Church! The word P.A.C.E. is an acronym that describes the servent leadership ministry at DHBC. (Pray Available Contact Example). 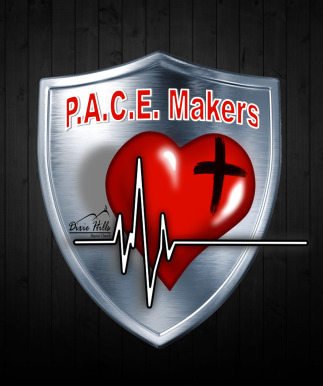 P.A.C.E.Makers are dedicated members of Dixie Hills Church who are able and willing to minister to a small group of church families. They Pray for their families, they are Available to them, they Contacts them regularly, and they live their life as a church member and as a follower of Christ as an Example for their families to follow. P.A.C.E. Makers Pray for, are Available to, Contact, and are an Example for the families of the Church. Each P.A.C.E. Maker is assigned about 6 families (households). Your P.A.C.E. Maker is someone you can depend on for Ministry, Information, Encouragement, Accountability, and Leadership. To find out who your P.A.C.E. Maker is, click on the P.A.C.E. LIST above to be able to scroll through the list. If you are not on anyone's list, please feel free to contact the church office @ 731-658-6529 to let us know and we will be sure to add you.